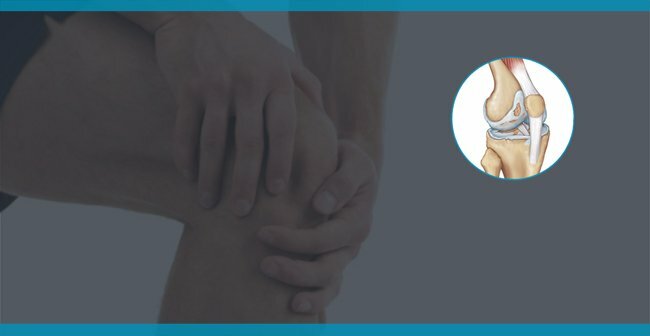 Cartilage is a connective tissue found in between joint bones, such as knees, elbows, wrists, ankles, vertebrae, and ribs. They are also present in ears, nose, and in the bronchial tubes of the lungs. They are tough fibrous tissues made up of specialized cells known as chondrocytes. Cartilage lacks blood vessels and derives nutrients from a dense tissue surrounding it. The absence of blood supply results in slower growth and repair in these tissues. Provides shock- absorption between joint bones. Facilitates smooth gliding of the joint bones. Assists in growth and development of bone. Cartilage lesions or damage are commonly found in the knees. However, the condition is not constrained to the knees and may affect other joints. Cartilage damage may cause pain, stiffness, swelling, and clicking or grinding of the affected joint. What can Cause Cartilage lesions? Osteochondritis dessicans – is a condition followed by a tear of fracture in a cartilage in a joint. These lesions are usually seen in knees and ankles. Why is it Important to Treat Cartilage Lesions? Cartilage is an essential structure assisting in joint function. Extensive damage to a cartilage may lead to instability and sometimes immobility of the joint. Left untreated, cartilage defects may alter normal weight distribution on the affected joints and may lead to osteoarthritis. What are the Treatment Options for Cartilage Lesions? Minor injuries can be treated by conventional treatment methods, for instance, rest, cold compress, immobilization, and elevation of the affected joint. Medications, such as Paracetamol and other nonsteroidal anti-inflammatory drugs (NSAIDs) may be helpful in managing acute pain. In case the symptoms last longer than a week, it is advisable to visit an orthopedic specialist. Often physiotherapy is advised for treating joint stiffness which may also assist in alleviating pain. Temporary bracing may also be effective in a few cases. Glucocorticoid injections may be prescribed for their anti-inflammatory effect. Viscosupplements – are an injective treatment used for joint lubrication. Surgery is the last option where other treatments have failed to provide relief. Usually, a surgical option is resorted to for cases with severe cartilage damage. Minimally invasive techniques are preferred for surgery. NSAIDs which are used to treat symptoms like acute pain may cause harmful effects on cartilage and may speed up the progression of osteoarthritis, on prolonged usage. Glucocorticoid injections which are administered for their localized anti-inflammatory action to reduce pain; may lead to joint destruction or cartilage degeneration on repeated use. The long-term clinical benefits of viscosupplements have not been confirmed besides, this treatment does not cure cartilage lesions. Other conservative treatments like braces and physiotherapy could not modify cartilage lesions. Although marrow stimulation or microfracture was reported to provide an improved function for two years post-surgery, the repair tissue was prone to central degeneration. Hence, it was not considered a treatment of choice in large cartilage defects. OAT or AOT, and mosaicplasty – are reconstructive surgical approaches that have provided long-term benefits for small cartilage defects, but were proven to be inefficient in treating large defects. Homologous osteochondral grafts have shown long-term benefits, for the treatment of large cartilage defects. The limitations of this technique are that, these grafts are scarcely available; difficult to preserve; have a risk of disease transmission; and require precision while placement. Regenerative methods, such as ACI are complex procedures and have certain disadvantages, such as risks of periosteal hypertrophy and higher rates of revision surgery. MACT have shown good long-term results after treatment. Additionally, this method was able to overcome the disadvantages of other surgical techniques. However, this procedure showed increased failure in degenerative lesions in older patients. Furthermore, patients with patellofemoral lesions showed improvement with this treatment whereas unsatisfactory outcomes were obtained in cases with multiple and patellar defects. Osteochondral scaffold method is employed when the tissue damage has extended to the subchondral bone. However, further research is needed to determine the benefits and risks associated with such treatment. It was concluded that the choice of the best treatment approach for cartilage lesions depends on the surgeon’s decision since most of the available treatment options have various limitations. Furthermore, treatment options are often modified based on patient’s medical condition, financial aspects, activity aspirations post-surgery, and regulatory limitations of the country or state. General, Osteoarthritis cartilage damage, Cartilage Lesions, connective tissue, knee pain. permalink.